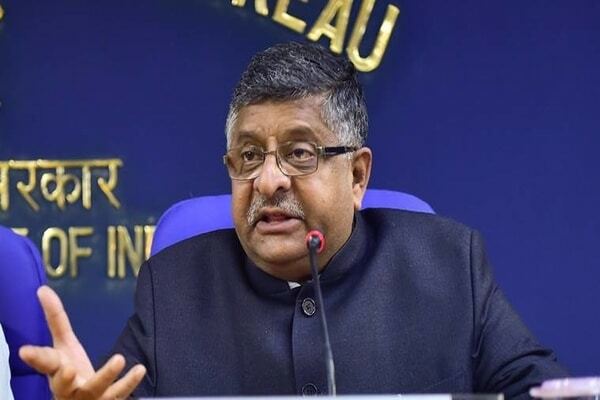 Union Minister Ravi Shankar Prasad has said the government will soon make it mandatory for linking Aadhaar with driving licence. So, the moment one goes in for a duplicate licence, the system will say this person already has a driving licence and should not be given a new one, the IT minister added. Eulogizing about the Centre’s ‘Digital India’ programme, the minister claimed that it had bridged the urban-rural divide. He also said that the digital payment transactions in the country have increased manifold to over Rs 2,070 crore in 2017-18. LPU Chancellor Ashok Mittal, Punjab BJP President Shwait Malik, and Phagwara MLA Som Parkash were also present on the occasion. I do not have a licence,I am not a tax payer in Income ,I do have bank account and as per supreme Court recent order there is no necessary to connect our link to know each other our details and fight against fraud for Govt. organisation. is not responsible at all.Same way Helmet, loss is not paid by Govt.organisation. Also long term RTO-15 years tax advance paid count the interest but within 1-year total loss of vehicle Govt.organisation. is not returning the 14-years tax with interests to party/owner Also now Insurance 5-years?advance payment is necessary for Govt.organisation. This is good way of earning more money from Poor people’s nothing else. Pl explain in news paper. India’s no -1 prime minister. Yes. Did se. I am looking for work in good work, in good company.